BM Catalysts new export sales manager Maksim Bessonov. Aftermarket manufacturer BM Catalysts has announced the recruitment of a new export sales manager as part of plans to expand its distribution network across Europe and further afield. The addition follows a period of strong sales for the Mansfield-based firm overseas, with export turnover now representing over 60% of the business in 2018. Maksim Bessonov joins Europe’s largest independent manufacturer of catalytic converters, Diesel Particulate Filters (DPFs) and front pipes from Leeds-based firm Ring Automotive. Over five years, Bessonov developed and established distribution in international markets for the European auto accessories brand. Fluent in four languages, Bessonov takes BM Catalysts’ export team up to five multilingual sales representatives and will play a key role in nurturing the company’s distribution network abroad. 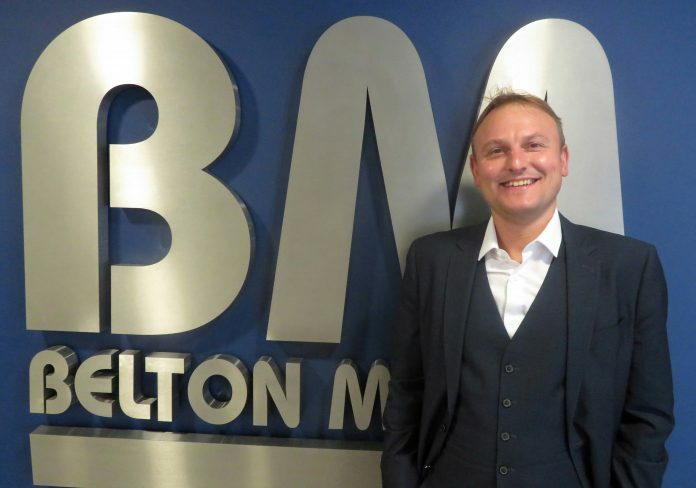 Commenting on the appointment, BM Catalysts’ commercial director Mark Blinston said: “The arrival of Maksim comes at a time of great momentum at BM Catalysts. This year we’ve seen significant growth in our export business and we expect to continue this momentum. Attention now turns to the world’s leading automotive trade fair, Automechanika Frankfurt, for BM Catalysts. The firm will be showcasing the extensive improvements it has made to its 2018 summer catalogue, including display imagery of its entire fitting kit range, from Hall 3.0, E30.